When you need support planning your wedding day. Hire a Wedding Planner. 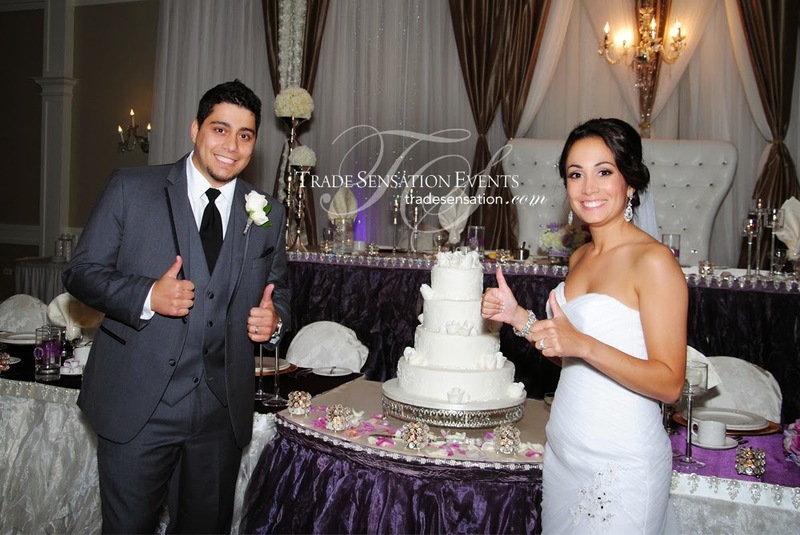 Sahir and Sabrina hired Trained Sensation Wedding Planning Team to help plan and co-ordinate their wedding day. 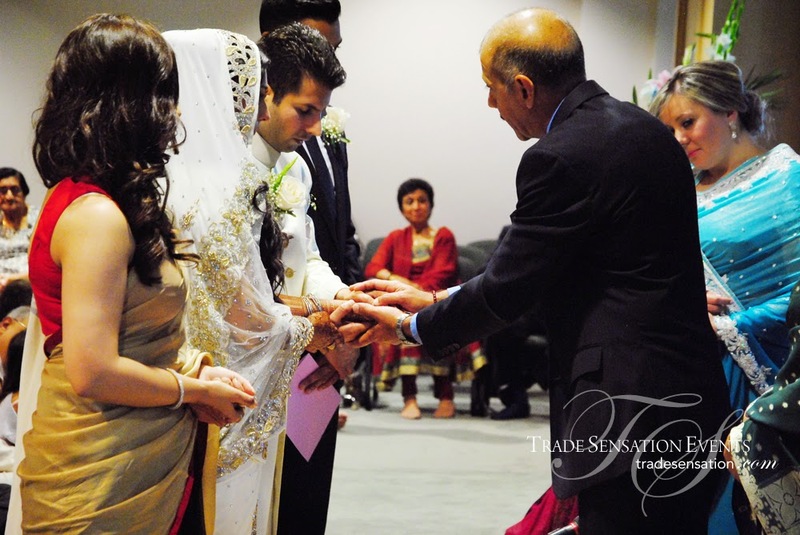 Our wedding planning team made up of Arooj and Ashley joined them at the beautiful Ceremony at Ismaili Jamatkhana & Centre in Willowdale,ON , ensuring that everything little detail was organized and followed up on, just as they had wanted. While the rest of the Wedding Planning Team, made up of Carla, Mahsa and Interns Gillian and Aussie Marie, ensured that everything at the reception was ready and organized prior to cocktail and hor's d'eurves with guests arriving for the absolutely stunning Moroccan themed-style reception at Bombay Palace. If Sophistication is what they envisioned, the result is an extravagant regal wedding. Christina and Pedro had their wedding last Saturday, August 16, 2014 at the Oasis Convention Center. Their theme timeless elegance, which created a modern majestic appeal to the venue. Trade Sensation's design team created a lavish, regal look, fit for a queen and king. Combining ivory, champagne with shades of purple. The vibrant fusion of these colours was a reflection of the couple’s genuine feelings of love, romance with a hint of absolute elegance. Trade Sensation’s décor team brought the couple’s vision to life with the use of our lavish Plum Versace linen that created a majestic vibe. The backdrop, infused with champagne, ivory with added touches of shimmering crystals added a touch of the Parisian Charm that enhanced the overall look of the venue. On a gorgeous sunny day, Justin and Victoria's vintage chic wedding took place at one of our favorite Venues - The Manor in Kettleby, Ontario. They had envisioned a sophisticated wedding with vintage accents... and Trade Sensation give them just that and a little bit more... Blending Ivory, Champagne, Gold and Tiffany Blue accents, the room was a vision unique to the two of them. We used our gorgeous new overlay Madelyn Rose at the parent's table, which looked fabulous next to our always stunning ivory Versace Head Table Ruffle Skirt, it created a lavish look. Thank you Justin and Victoria for an amazing testimonial! We are so thrilled that we more than exceed your expectations.